Last week, the Bay Area Council economic Institute held an event to present their report on the economic connections between the Bay area and Europe. It is a sure thing that Europe and the Bay area have had a long history of business relations, but until this report it was quite unsure how strong these were. Be relieved they are stronger than ever. Of course, Asia and NAFTA remains respectively first & second, but Europe is the 3rd largest trading partner of the Bay area. Each year, $9.2 billion of goods and services are exported to Europe. The export/import with Europe is almost balanced with a short advantage for the Bay area. In the end, the economy of both locations benefits from the situation. This economic relationship goes beyond trade. Indeed, in terms of Foreign Direct investment, Europe is the largest investor in the Bay area as it accounts for 49% of foreign investments in the Bay Area and a third of all foreign firms in the region. In total, 1,065 European companies have affiliates in the Bay, among them 135 are French. It also works the other way around, there are around 3,300 affiliates of the Bay area companies in Europe. Despite the attractiveness of Asian and African dynamic countries, Europe remains the first destination for American companies abroad. 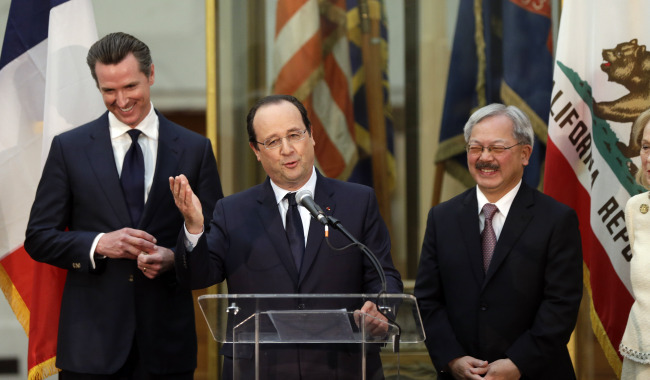 The business relations between the Bay Area and Europe go far beyond direct investments. Indeed, a myriad of transatlantic organizations are located in the Bay area to support the business and partnerships of European companies. PRIME and French Tech Hub are representative of the efforts France make, they are also representative of a bigger European movement fostering transatlantic partnerships. In the Bay area, we count 30 diplomatic offices of European countries, 14 bi-national organizations (like the French American Chamber of Commerce), 11 business incubators and 12 trade & investments offices. Fortunately, it does not seem like this movement will fade soon. Indeed, last year, the European Union and the United States started negotiations on the Transatlantic Trade and Investment Partnership (TTIP). If both entities come to an agreement, it will create the world’s largest free trade zone surpassing the FTAA or the ASEAN. Obviously, the negotiations will take a long time and exhausting back-and-forth modifications, but this partnership could lead to numerous job creations and technology partnerships. According to a study by the Atlantic Council, the TTIP could create 75,000 jobs in California only. Let’s hope this attempt of transatlantic partnership will pave the way to other initiatives to strengthen this economic relationship further.